Sitting in the quiet conservation village of Bowden, just 3 miles from the picturesque town of Melrose, this superb B&B is situated right on St. Cuthbert’s Way. 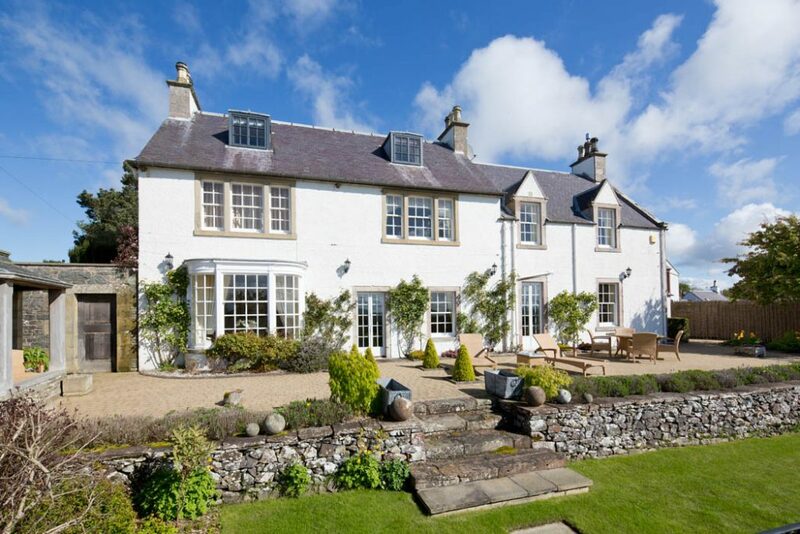 Set in an elevated, south facing position within beautifully landscaped gardens, Bowden House B&B boasts breathtaking views from all principal rooms of the property. Dating from the early 19th century Bowden House B&B is full of charm and character. It has been lovingly refurbished with beautiful antiques and artwork and we do our utmost to make you feel at home. Bowden House B&B offers 2 superb bedrooms for our guests (1 twin with private bathroom and 1 king double with ensuite facilities), a sitting room and a lovely dining room with access to the patio. Our bathrooms and en-suites are to a luxury standard with toiletries provided. Discover a truly magical place and a perfect base for your holiday. We are looking forward to welcoming you to our home!